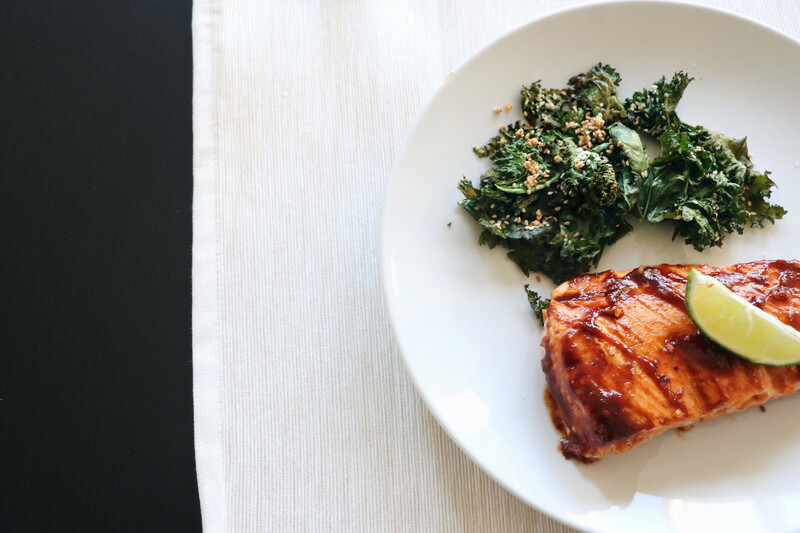 I love easy & simple dinners with minimal ingredients. Baking 2 things at the same time is always time efficient. 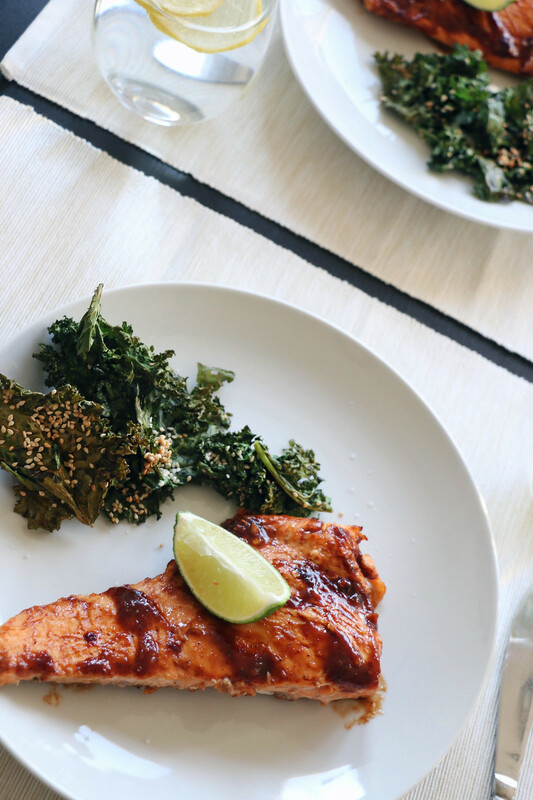 Salmon is a healthy & delicious option. A little trick to salmon is to undercook it, then cover it with foil to keep it moist. If it overcooks, it becomes dry & tasteless. 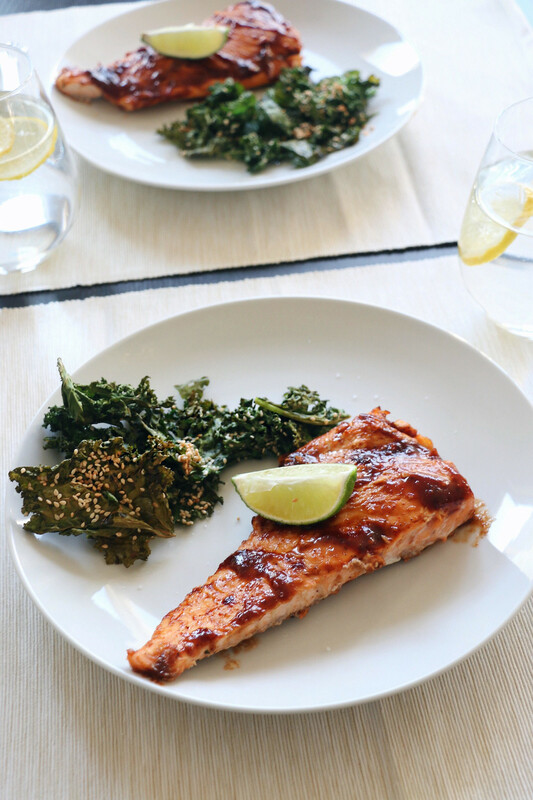 Alongside the salmon is my crispy sesame-soy kale. This dish has a hint of asian flare and in under 1 hour cooking time, you can have a healthy & flavour packed dinner. In a bowl, combine soy sauce, honey, & minced ginger. 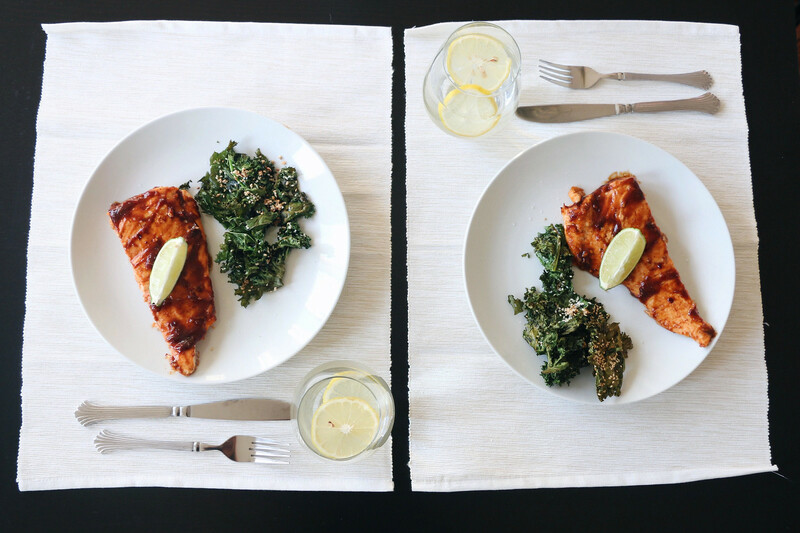 Pour over salmon fillets in a baking dish. Bake at 400 degrees for 10-15 mins. broil for 3 mins to create a glaze. Remove stems from kale. 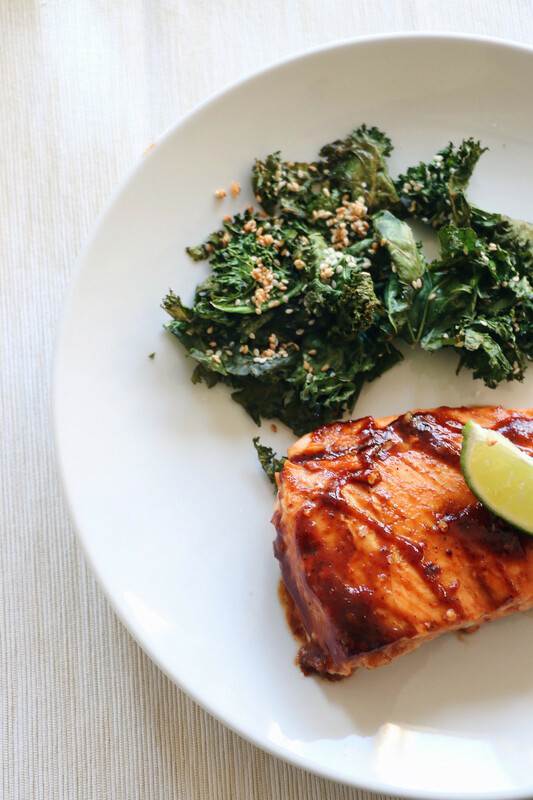 In a bowl, toss with soy sauce, olive oil, & sesame seeds. Toss & place in a baking sheet at 200 degrees for 20 mins. Do not overlap. 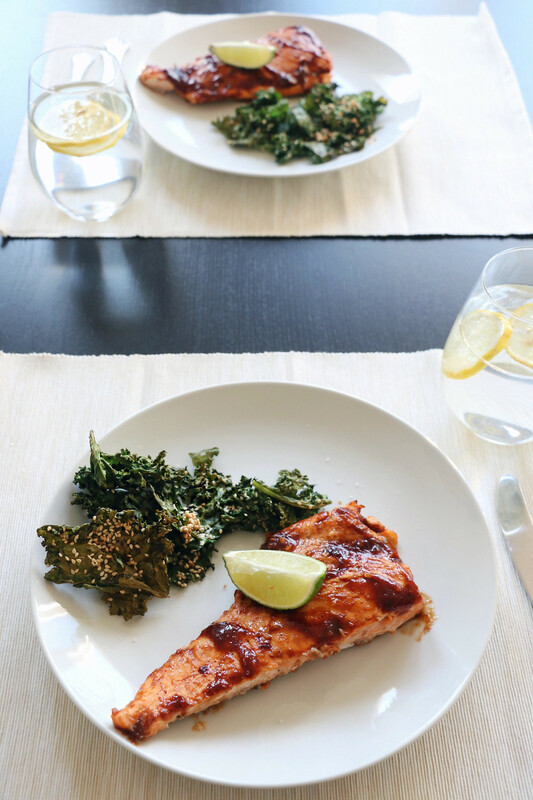 Tip: I always bake my kale first, set it aside, then turn the heat up for the salmon.